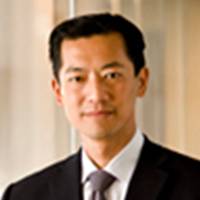 Asset manager Janus Henderson has hired Michael Ho as its new global head of multi-asset and alternatives. Mr Ho will be responsible for and oversee the firm’s asset allocation, multistrategy and alternatives teams worldwide effective 14 January 2019, according to a statement. He will also be a member of the executive committee at Janus Henderson Investors and will be based in London. Mr Ho was most recently chief investment officer of investment solutions at UBS Asset Management, also in London. “Following a thorough review of high-calibre candidates, we believe Michael has the right investment and research expertise, as well as management experience, to continue building our growing multi-asset and alternatives team into a globally cohesive, client-focused investment business,” said Janus Henderson Global chief investment officer Enrique Chang.